You have a well designed website, but you are not getting the bookings that you expect. You realize that there is something that needs to be done to change that, but aren’t sure what to do. 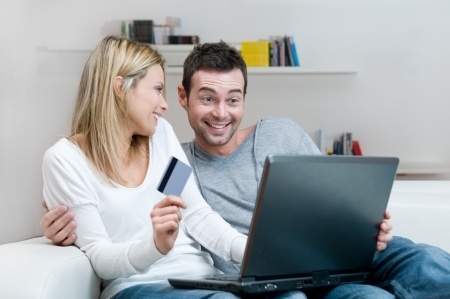 There are many things you can do to increase your conversion rate. We will discuss 13 tips below. How can you make the right decision if you don’t know where you’re failing? The very first step is to track your conversions. To do so, you can use Google Analytics. It is a free service, and will give you important data about people who view your website. Where are they coming from? When are they leaving the page? How many convert? How many bounce? To get started with it, see the Google Analytics training here. This entry was posted in Best practice, Small businesses and tagged conversion rate, Get more conversions, Get online booked, Increase your conversions, lodging booking system, Receive more reservations, rental booking system, responsive website, tips to receive more conversions, tour booking system, webreserv booking system, webreserv discount codes. If you are new to WebReserv, and are working on setting up your account, you may be asking yourself a few key questions. How complicated is the calendar integration? How much can I customize the calendar to match my web design? 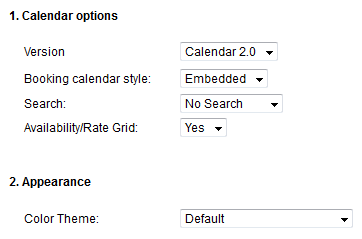 Should I embed the calendar or make it show in a new tab? Should I add it to an existing page or should I create a new one? These are important questions, and very appropriate to consider. After all, your webpage is the pillar of your business, and you need to make sure the booking calendar meshes well with the design. First of all, if you are unsure on how to integrate the calendar into your website, we recommend you review our documentation, How to integrate the booking calendar to your webpage and Customizing the Booking Calendar for further customization needs. In addition to these helpful guides, we also believe that, as the saying goes, “a picture is worth a thousand words”. So, we would like to share with you some of the best integrations of 2014. Have a look and get inspired! This entry was posted in Best practice, Booking Calendar Integration, Testimonials and tagged Booking system for B&B, Booking system for lodging, Booking system for rental, booking system for tours, Calendar integration best practices, Corner stone cabin rental, Food lover tour, Hire a hymer classic mercedes motorhomes for rental, integrate a booking calendar, Orchard house & bed and breakfast, Wahine charters, webreserv booking calendar, webreserv booking system, webreserv calendar 2.0. Weebly recently launched a new version of its website builder with a completely new design and several new features as well. This new version is converting Weebly in one of the most used webuilder worldwide and it will allow you to create a website in a record time. If you are designing your website in Weebly, use this guide to quickly add the WebReserv booking calendar to your Weebly website. If you don’t have a WebReserv, create a free account here. If you already have a WebReserv account login and select Website from the top menu. This entry was posted in Booking Calendar, Booking Calendar Integration, Website builders and tagged Book online with weebly, embed a booking calendar in Weebly, how to, online booking weebly, Receive bookings on Weebly, Receive reservations on weebly, take bookings on Weebly, Take reservations on Weebly, webreserv booking calendar, webreserv booking system, Weebly and WebReserv. I often speak to businesses that are somewhat skeptical about taking online bookings. Change can be challenging, and if a business is used to doing things a certain way, it can be hard to make the leap. 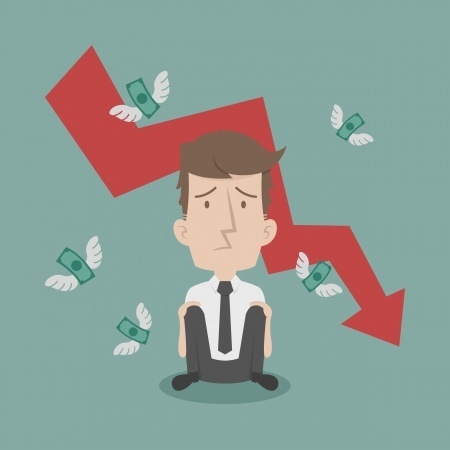 Businesses are sometimes unsure if allowing online bookings is a good decision or not. Will it make things easier for the business and my customers? Will customers use an online booking system? The answer is a resounding YES! Here are 10 reasons why. 1. Always available . . . anywhere, anytime: A booking system attends to your customers’ reservations 24/7. It allows them to make bookings from anywhere, at any time, even in the middle of the night or during holidays. This entry was posted in General and tagged b&b booking system, rental booking system, segway booking system, tour booking system, webreserv booking engine, webreserv booking system.